Called both Synergy and Parentvue somewhat interchangeably (there is also a StudentVue login for students), this site is used by Middle School teachers to track homework, assignments, and student's mid-term and final quarterly grades. There is also an App available for both iPhone and Android devices where parents can view schedules, assignments, and emergency contact information. The school and the district also use Synergy / ParentVue to track all student attendance, including for Elementary students. 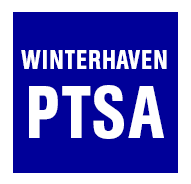 Please contact Nancy Cooper, Principal's Secretary in the Winterhaven office for any questions after getting set up with your student's login information.